‘Miss Fortune Falls’ to be Renamed? Yes! Share ‘Miss Fortune Falls’ to be Renamed? Yes! on Facebook Tweet ‘Miss Fortune Falls’ to be Renamed? Yes! Rumor: The information in the article below contains information from a single source. Facts may change at a later time. According to our sources; the upcoming family raft ride may be getting a new name. The attraction was before going to be named Miss Fortune Falls. We think the change may have something to do with the tragic accident that took place in Kansas City. 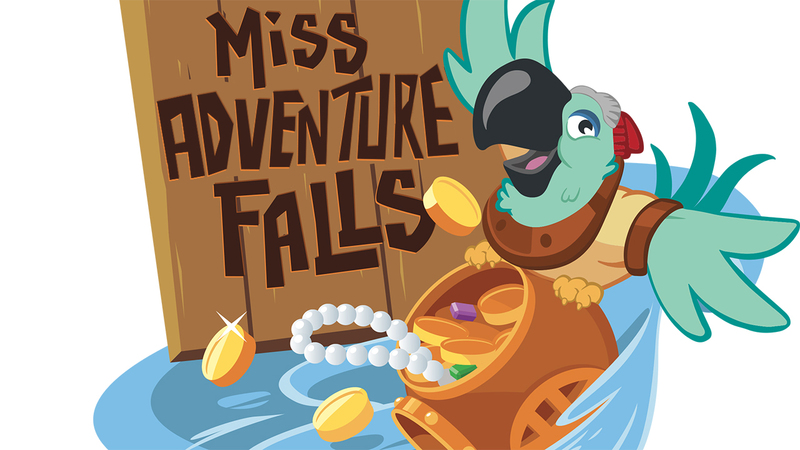 The new name is to be Miss Adventure Falls which also fits the theme of the ride. Expect an announcement related to Miss Adventure Falls to come soon. We’ve made a quick mock-up with the new name based off of the old logo. We’re no artists but it looks alright and gives an idea of what could come.